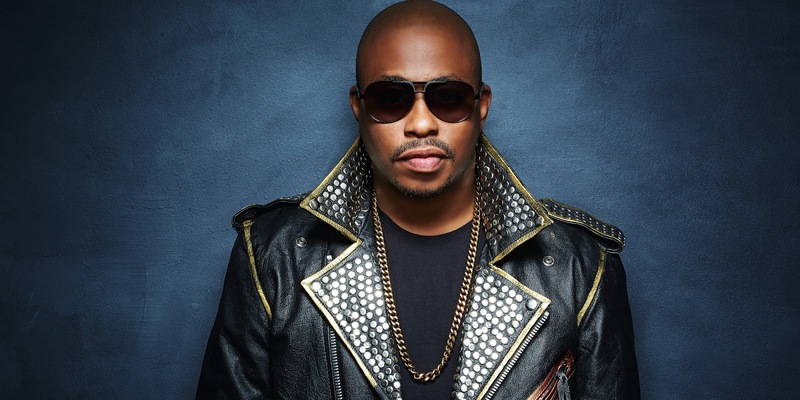 Recently, I had the opportunity to speak to R&B singer, songwriter and actor Raheem DeVaughn. Here is what the Grammy nominated singer had to share with the readers regarding his recent role in the play Love Jones, along with his current and upcoming projects. Tocarra Eldridge: How did you get involved and become a part of this amazing musical, Love Jones the Musical? Raheem DeVaughn: They sought me out. I got a call internally from my camp, and they were interested in me coming on board. When I spoke to the director and the producer, I was pretty much sold on it. When they told me everybody that was involved – who else they had confirmed, I was cool. TE: Love Jones, the movie, was a classical film. Was there any gratification or excitement for you to become a part of this musical? RD: Yeh, of course! It was probably one of the dopest black films that came out in the last 25-30 years. So, definitely, it was great vibes when it dropped. Great characters and the story line is dope. It wasn’t the typical story line. It is a positive black film. It covers the spectrum of black love, spoken word, all those different things. It was broad. It was dope! I definitely was excited with the fact that it was like Love Jones too, although this is the musical and it doesn’t depict the exact same story line as the film or the interpretations of the original art form. TE: Is this your first time having a role in a musical stage adaptation, if so why and how has this been different or unique for you? RD: This is not my first time doing a play, but definitely on this caliber…this is my first time. Before, it [my first play] was like an annual holiday thing, something that took place locally in D.C. This time it’s national. I’m hearing everybody say the same thing, that this is the first time that it’s been done like this. It’s much more to the format and structure of doing it, not to mention MC Lyte spearheaded us doing the soundtrack for it as well. I wrote a song that is now the title track for the play, which is titled “Love Jones” also. There are a lot of great opportunities for me to expand, but also still grow and expand as an actor in that nature – but also musically doing some stuff in a different direction. It’s kind of like a whole other blueprint. I’m seeing a different format of how I can market music as well. TE: Do you see yourself landing more acting roles in future stage plays, or possibly movies, television, etc.? RD: Oh, I’m deep in it now! (Laugh) If it’s something to add to the resume, I’m definitely doing it. We laugh and joke about it – I’m kind of like the guy with the warped sense of humor; I’m always trying to keep everybody laughing and in good spirits while we are on the road. It’s going to be a lot of acting going on. There are a lot of different shows that I’m a fan of that I would love to possibly be a part of in the future. Now, I look at myself as like I want to earn my worth and take it seriously. From what they say, I’m a natural, so it’s all good. TE: As an accomplished singer, what keeps Raheem DeVaughn inspired and motivated? RD: What keeps me inspired and motivated – I’m self motivated; I strive to be great. I don’t take no for an answer. I strive to be different too. I understand that being different makes you stand out, and it’s cool. I don’t necessarily want to be the second person to do it, I want to be the first person to do it. If I am the second, I’m going to be a lot more successful than the first person. Being the first has its pros and cons. At the end of the day, I just enjoy what I do. I look at it as more of preserving a culture moreso than always business. I’ve always made my business choices when they need to be made, but it’s about the culture, the message and integrity that gives respect for the craft. TE: Do you have any advice for upcoming singers who are looking to be successful as yourself? RD: Definitely explore all the different avenues. Entertainment – from singers to Broadway – you don’t have to be your conventional R&B singer, putting out mixtapes and trying to grind so hard. If I knew 20 years ago what I know now, I would have been doing what I’m doing, but everything happens for a reason. On the same token, be a student of it; explore and try different things, because you don’t know what door is going to open up or what opportunity is going to be that ticket to prepare you for the next level. TE: Would you like to add anything in closing? RD: I got a new album coming out in the next few months [titled Footprints on the Moon]. The official single is out, it’s called “Footprints on the Moon”. My next album is a hip hop/soul album. It’s very socially conscious. The people that like my 2010 album will thoroughly enjoy the Footprints on the Moon album. The single is available now on ITunes. This is a collaborative effort album – myself and a brother named Wes Felton. He’s out of the Washington DC area as well. He’s a poet, MC, singer, great live performer and great songwriter. Collectively we call ourselves The CrossRhodes. Even on a hiatus we’ve always put out music independent. We haven’t put out music together in anywhere from 10 to 15 years. With the kilometer of where the music business is and all that is going on in the world, we felt like it was time to get back in the lab and start making music. So, be checking for it.